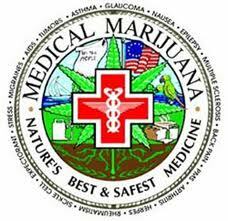 The Advantages Of Natural Medical Marijuana Over Synthetic. Medical Marijuana has now become legal in fourteen states within America. There is also a synthetic, or man-made version of the drug consisting of THC (Delta 9-Tetrahydrocannabinol), which are the active chemical ingredient contained within Marijuana, or as sometimes called, Cannabs. The stems, seeds and leaves are typically utilized and are usually an even green in color. For growers of Medical Marijuana, obtaining the very best results is predominately down to selecting the correct Medical Marijuana seeds, or Land-Race Cannabis strains. There are many pros and cons regarding the legalization of Medical Marijuana, and much disagreement over using a man-made and synthetic substitute, rather than the natural plant itself. One of the many arguments against the use of synthetic THC is it costs more money to process it into a synthetic liquid or pill form, that it does to just grow the plant in it’s natural form, and reaping the subsequent Marijuana or Cannabis Buds. Whilst the simple Marijuana plant is natural and user-friendly, providing uncomplicated medication via smoking and inhaling, the use of a Vaporizor for Cannabis or baking into meals and ingesting. It has also proven to be very helpful in alleviating much of the pain associated with muscular sclerosis and certain spasticity symptoms. Many countries around the world have legalized the drug for these, as well as certain other medical conditions. Research is still continuing within the United States of America, and in many other parts of the world, trying to further refine our understanding of the usefulness of THC, and it’s many active components. 1. Synthetic THC in tablet or capsule form, is going to take more time be absorbed into your body. This absorption can take approximately one hour, whereas smoking Medical Marijuana buds will result in an immediate reaction. 3. It has been reported that the man-made tablets can be more intense and include psychedelic side effects. 4. There are several financial benefits in growing your own natural Medical Marijuana, as oppossed to purchasing tablets or capsules. Smoking cannabis is far less expensive in comparison to the liquid or pill forms currently available. 5. The liquid version of the drug is reported to cause nausea so severe for some people, that they can’t tolerate it, and vomit before absorbing the THC. This is an unfortunate side effect since many are trying to control nausea in the first place. Side effects from the synthetic liquid or pill form of THC, may involve; anxiety, confusion, memory loss, unusual imagined patterns, depression, restlessness, rapid heartbeat, skin color rash and seizures. There may also be problems when combining this drug with other prescription medications, unlike the natural variations of Medical Marijuana.